ShopCoupons is currently running a scholarship program to raise awareness about Digital Marketing among students in colleges and universities across Malaysia. This scholarship is to provide financial aid to those who are in need of college or university expenses. We are giving a scholarship worth RM5000 to the best content written based on the title "How Digital Marketing has impacted the marketing scene as a whole and its importance on the web in 2017”. The student can then use the RM5000 for course materials or other resources and the cheque will be sent directly to the university of which the student is from. ShopCoupons is a smart saving community platform that features the latest promotions, deals and coupons so our users can save on their purchases online. We recognize the important role digital marketing plays in the growing e-commerce scene and would like to help creative minds to exhibit their abilities and thoughts about the future of online shopping and how the right content can help the audience. 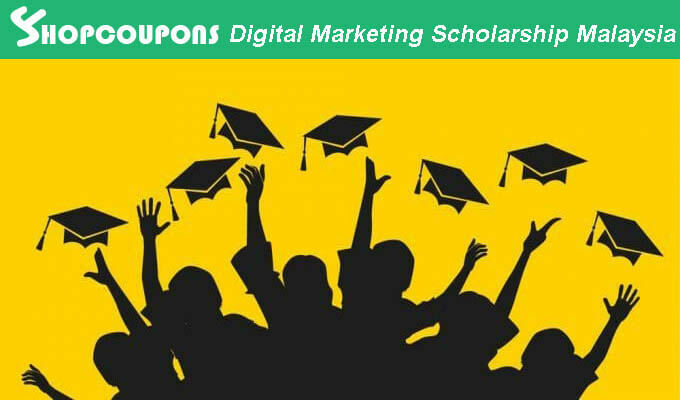 Therefore, we have decided to create the ShopCoupons Internet Marketing Scholarship. This is the chance for Undergraduate or Postgraduate students with the passion for "Digital Marketing" to receive RM5000 as a Scholarship. This scholarship can be utilized either in course materials or other resources. This Scholarship will be useful for those who are currently studying in the areas of Marketing, Business, IT or Communications. You do not need to be an expert in this area - all you need is the passion for digital marketing content creation. If you find that this Scholarship could benefit you and believe that you have the right mind to achieve this, please do not hesitate to contact us with the relevant details. You get the chance to win a Scholarship worth RM5000. You are required to think about digital marketing and create a piece of content between 500 - 1000 words on the subject: "How Digital Marketing has impacted the marketing scene as a whole and the importance of it on the web in 2017". 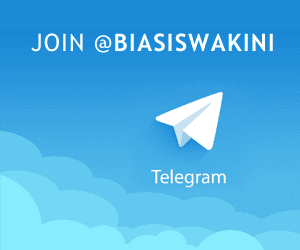 You may write your article in English, Malay or Chinese. Why do you believe that digital marketing is important and how will it be useful in the future? The person with the best-written content will receive RM5000 which can be used either for course materials or other resources. If you would like to know more, please continue reading. This Scholarship is only applicable for students who are currently enrolled in colleges and universities. This piece of content that you will be creating must be unique and creative (no plagiarism). What you will be writing must be able to convince anyone that you know what you are doing and that you are correct. A few of our judging factors after you've submitted your article includes creativity, value of the provided information and more. Write your article of 500-1000 words long and submit it to us via a word .doc file or please add the url of your website (if any). Once you are done with these steps, email us at info@shopcoupons.my with all of the details listed below and attach your Word Document. Please put the title of the email as "Submission for ShopCoupons Digital Marketing Scholarship"
The name of the college or university you attend. The deadline is May 31st 2017, and the winner will be selected by June 15th 2017. The cheque will then be mailed out by June 20th 2017. RM5000 cheque will be sent directly to your college/university. We run our scholarship program every 6 months or yearly. 0 Komentar untuk "ShopCoupons Digital Marketing Scholarship Malaysia 2017"